Learning about your Tendency will reveal a better way to use your strengths, manage your weaknesses, relate to others, and set and maintain a habit. 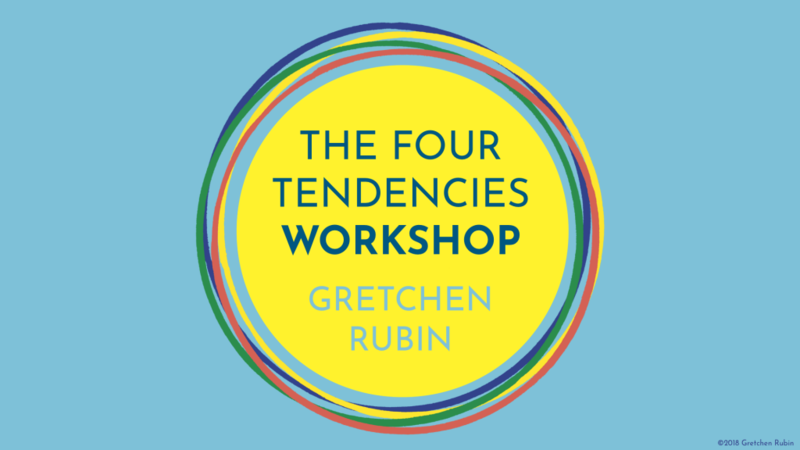 I am very excited to be able to bring the Four Tendencies workshop to Johannesburg. I’ve long been a big fan of Gretchen Rubin’s work and to be able to be accredited to facilitate this workshop is a big deal for me! During our time together, you will have your tendency confirmed and also understand how to use it to make you happier, healthier, and more creative in your life – both personal and work. Best, you will leave with specific strategies that work for your tendency, not just strategies that work for me or other tendencies. I am also going to coach all the workshop attendees through putting together their 19 in 2019 lists, and giving them the strategies to succeed with their lists of goals/ intentions/ fun things to do this year. Drinks and light refreshments will also be provided. *If you’d like to host a workshop at work or home (you workshop for free), please contact me and let’s discuss all the details, or if you prefer, I can also do 1:1 skype sessions.